The Symbol MK500 improves customer service and the customer experience with the latest innovations in self-service technology. This compact, easy-to-install and affordable device allows retailers to put the power of self-service in every aisle or department. So, no matter where in the store your customers might be, help is never more than a few steps away. 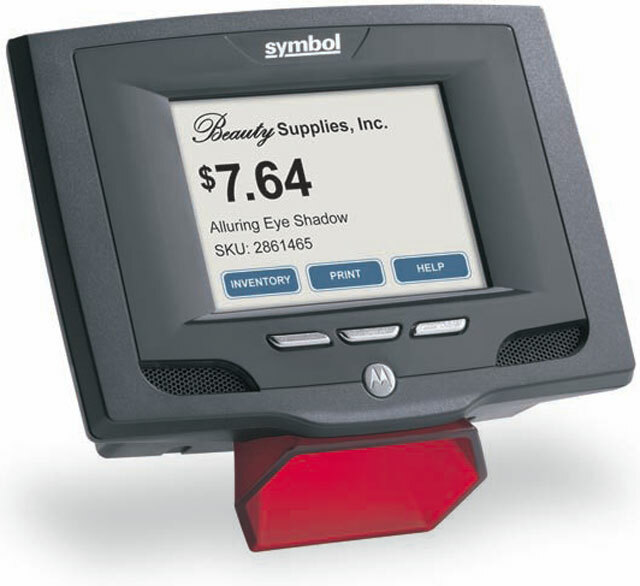 Customers can check price and inventory, check the balance on a gift card, lookup a loyalty point balance, determine the location of a product and call for assistance, all with the scan of a barcode or press of a button or touchpad. In addition, the MK500 easily connects to third-party small mobile printers, enabling retailers to build on the solution to enable more sophisticated and valuable services. For example, customers can print out recipes, gift registries and coupons for in-store specials as well as personalized coupons based on a scan of the customer's loyalty card. Micro Kiosk, 1D Laser, 3 Button, Ethernet Interface, QVGA Touchscreen, Windows CE 5.0, Power supply sold separately. MICRO KIOSK, 802.11a/b/g, QVGA COLOR TOUCH SCRN, 3 BUTTON, 1D LASER, Windows CE .NET 5.0 64/64MB, POWER SUPPLY SOLD SEPARATELY. I have over 75 of these units in the field, and i've only had problems with one unit. They just keep going and going. we have 40 in the plant and we scan the incentive tickets in this, is a great idea to wotk and review the work orders. Great little machine - runs Windows CE, so programming is a breeze. The only complaint that I would have is that the screen is on the smaller size, but that's right in line with the price point on this box.